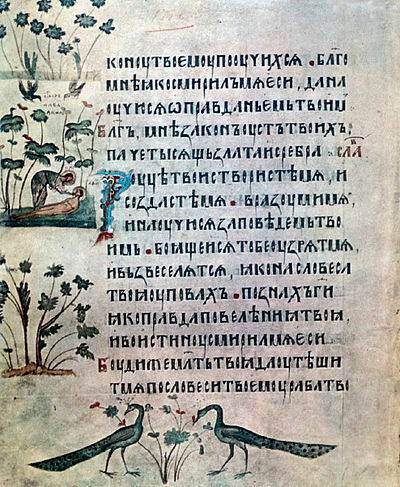 Russian orthography (Russian: правописа́ние, tr. pravopisaniye, IPA: [prəvəpʲɪˈsanʲɪjə]) is formally considered to encompass spelling (Russian: орфогра́фия, tr. orfografiya, IPA: [ɐrfɐˈɡrafʲɪjə]) and punctuation (Russian: пунктуа́ция, tr. punktuatsiya, IPA: [pʊnktʊˈat͡sɨjə]). Russian spelling, which is quite phonemic in practice, is a mix of the morphological and phonetic principles, with a few etymological or historic forms, and occasional grammatical differentiation. The punctuation, originally based on Byzantine Greek, was in the seventeenth and eighteenth centuries reformulated on the French and German models. NOTE: The IPA transcription attempts to reflect vowel reduction when not under stress. The sounds that are presented are those of the standard language; other dialects may have noticeably different pronunciation for the vowels. borrowed words are usually spelled as transliterations, often ignoring actual pronunciation until they become more fully nativized. This is why double consonants are usually retained from original spelling when their pronunciation is not normally geminated. In addition, unpalatalized consonants are usually followed by ⟨е⟩ rather than ⟨э⟩ (e.g. кафе [kɐˈfɛ],'café'); 19th-century linguists, such as Yakov Karlovich Grot, considered unpalatalized pronunciation of consonants before /e/ to be foreign to Russian, though this has now become the standard for many loanwords. Neither of the aforementioned consonants has phonemically distinct palatalized and unpalatalized variants. Hence, the use of ⟨ь⟩ in these examples is not to indicate a different pronunciation, but to help distinguish different grammatical genders. A common noun ending in a consonant without -⟨ь⟩ is masculine while a noun ending in -⟨ь⟩ is often feminine (though there are some masculine nouns ending in a "soft" consonant, with the -⟨ь⟩ marking a different pronunciation). Though based on common ancient etymology, by which a hard sign ъ was appended to masculine nouns before 1918, both symbols having once been pronounced as ultra-short or reduced yers,[clarification needed] the modern rule is nevertheless grammatical, because its application has been made more nearly universal. This rule is partly guided by pronunciation, but the geminated pronunciation is not universal. This rule is therefore considered one of the difficult points of Russian spelling, since the distinction between adjective (implying state) and participle (implying action) is not always clear. A proposal in the late 1990s to simplify this rule by basing the distinction on whether or not the verb is transitive has not been formally adopted. Итак, царя свергли! So the tsar has been overthrown! Мужчина, которого вы вчера сбили, умер. The man you ran over yesterday has died. Это странное явление, о котором так часто пишут в газетах, так и остаётся без научного объяснения. This strange phenomenon, which is so often reported in the press, remains unexplained by science. Наш телефон: 242-01-42. Our telephone: 242-0142. or Our telephone is 242-0142. Без сильной команды — такой, которую в прошлом собирал и тренировал Тихонов — Россия не взяла золотую медаль на Олимпиаде-2002. Without a strong team — like the one that Tikhonov in the past selected and trained — Russia did not win the gold medal at the 2002 Olympics. — Я Вас обожаю! — сказал мишка лисе. 'I adore you!' said the bear to the fox. the complexity (or even correctness) of some of the grammatical principles, especially with respect to the strung-together, hyphenated, or disjoint writing of the constituent morphemes.